Hello. My name is Catherine and I would like to give everyone in the world a hug. I’m a hugger. I can’t help it. When I see someone I know, I just go for it as a greeting with barely a thought. There are perfectly good explanations for this. I was raised in the Philippines, land of extremely happy and friendly people. I also grew up with a lot of stuffed animals. I still sleep with a pillow I’ve had with me from the crib—it’s the only material possession that has been with me forever. And dang it, it feels good. Hugging releases oxytocin, the hormone that promotes love and trust. In fact, studies have shown that a lack of human interaction, such as touching, is detrimental to growth and development. Touch ranks up there with food and water as a basic need. But I do realize that not all people like to hug others. The idea of touching as a greeting is largely cultural, and I’ve had to adapt accordingly, depending on where I’ve lived and whom I was interacting with. In the Philippines, I hugged. In Spain, I kissed (both cheeks). Here in America, I shake hands. It is especially in the latter that I’ve felt that people respond the least positively to hugs. Many people, I’ve observed, have an invisible “wall” that illustrates their personal space. Touch may be considered as an intrusion, an interruption, or a threat. On the other hand, a hug can also be a sign of great physical intimacy that is only reserved for one’s closest family and friends. I wanted to investigate our perception of touch. Moreover, I want this project to be a personal reminder of being physically connected to people. 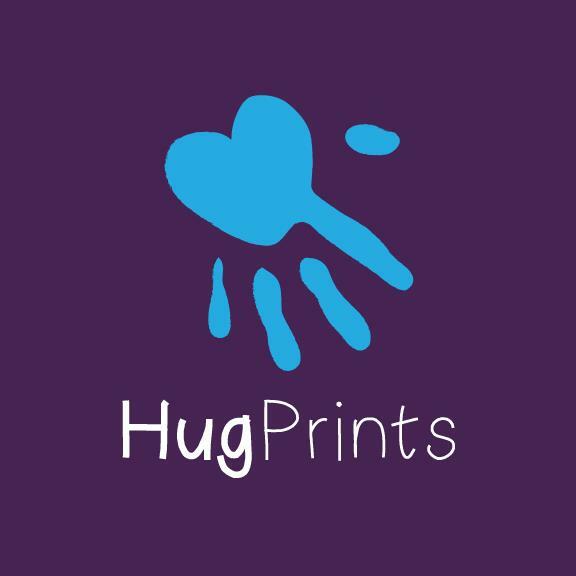 Thus comes HugPrints. I designed a thermochromic (temperature-sensitive, color-changing) vest, so that it was possible to see evidence of the hug. The purple fabric temporarily turns to blue when touched. Right after each hug, photos of the front and the back of the vest are taken, showing where I was touched and how warm (literally) the person is. The patterns people intentionally and unintentionally make have been an interesting exploration of human contact. I also record the ambient temperature of the environment. Hugging people indoors versus outdoors would give different intensities of color change. I would love to give you (yes, you!) a hug. But hey, I would love it more if you give your loved ones and perhaps that sad-looking stranger next to you one, too! Visit the project site for more details.